Mo is quite a character with a mind of her own but would never do anything to hurt anyone. Was Overall Champion Scottish sports Horse sports pony 3 years running, has been awarded star status and bred 1 st premium and 1 2ed premium foal. 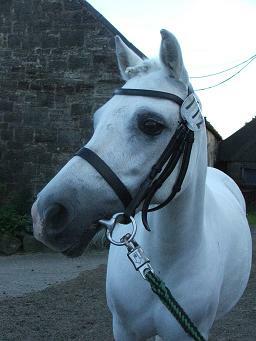 She loves been driven or out on a hack realy and looks after her small mounts.